Discussion in 'Politics & World News' started by Kevin, Feb 17, 2008. True that, didn't even notice it. weird. 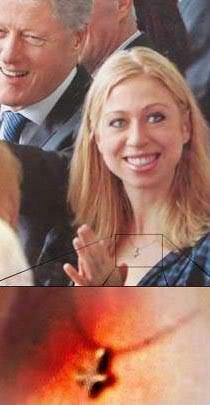 proof hillary is teh satan! Its just the chair of peter, right? 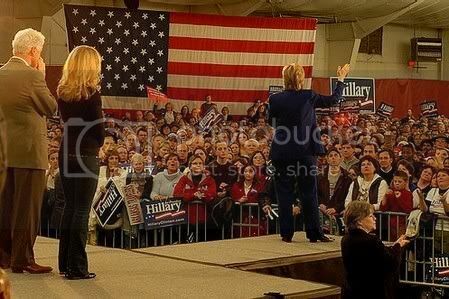 Meh, the flag was probably just made in China. It's like the endearing typos on all those take-out menus. Dude, have you like seen the dollar bill dude? I mean, like seriously have you really looked at it? There's some crazy **** going on brah. It'll totally blow your mind. Sorry but Im from Holland and I have no ID what that means. I know about thew whole freemasons and ocult stuff thingy that a lot of people like to believe but Im not one of those people. Im not saying this is any satanic whatever but I just think its weird that the stars are up side down and I was hoping to get a usefull explenation here. Sorry, didn't mean to rag on you. No offence taken what so ever, I too am very critical/sceptical on the whole occult conspiracy thing some people believe in. All this has pointed out is that a guy from Holland spotted something about the US flag that 99% of Americans would miss. The terrorists MUST be behind this! Or that damned Pentaverate again...or Skull and Bones... Don't taze me, bro! Yeah probably skull and bones or Bohemiam groove related. Retards love to dance the Bohemian Groove. Dammit, i meant grove offcourse. But seriously, im not saying its someting satanical or whatever, but why are the stars up side down? Why? I'm going with the "Made in China" theory. Someone screwed up sewing the union onto the flag. Big flags like that are expensive and I'll bet they got a "deal" on it. Of course it's not as much fun as a good conspiracy theory. 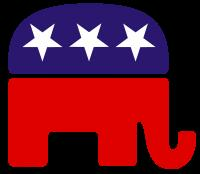 The stars on the Republican party logo have changed the year Bush was elected. Im just really confused with this because i dont want to believe a hocus pocus story, Id like a more normal and sane explenation. good luck with that "normal and sane explanation"
Probably from manufacturing process. Majority of flags are sewn overseas, oddly enough. There was legislation at some point to require all official US flags to be made in the USA but it died in committee I think. It is the flag for the New Worldwide government. Get ready to be issued your international ID card and implant. maybe they can staple them to your tinfoil hat. Thats actually some good information. Really? I thought your avatar was it. No it is the flag of the resistance, you should see our salute.